Looking for a spiritual community? 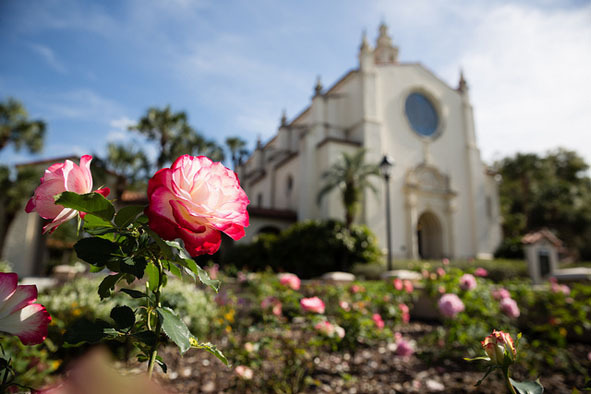 We have a list of religious and spiritual communities at Rollins and around town just for you! 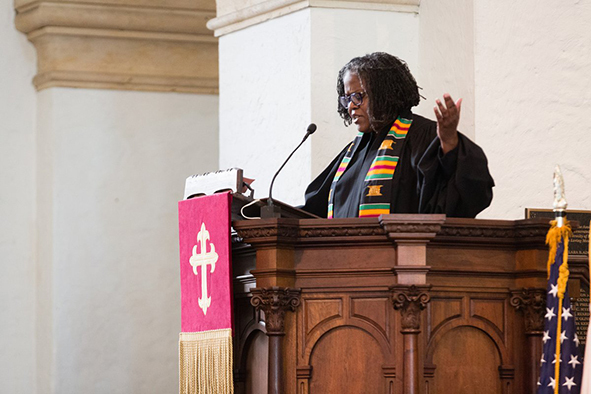 Reverend Jenkins shares her thoughts through a series of 10 questions in Rollins' 360 article! The Role of "The Rev"
"So, what exactly does the Dean of Religious and Spiritual Life do?" Great question! The Dean of Religious and Spiritual Life does everything from making space for religious-specific programming, facilitating interfaith dialogue & work, coordinating educational opportunities to delve into ethical, religious, philosophical, & spiritual subjects, engaging in conflict transformation, and much more! "Does the Dean only represent only one religious community?" Nope! Acting as Dean of Religious and Spiritual Life for the College, the Dean works with a wide variety of spiritual communities to best provide for the needs of our diverse campus. Accordingly, the Dean is also active in representing Rollins in conversations with our greater community of Winter Park and Orlando. "How can students get in touch with "The Rev?" For starters, feel free to swing by Rev. Jenkins' office in Knowles Chapel (rumor has it she has a fully stocked Keurig machine)! You can also zip her an email at KEJenkins@rollins.edu!